Even though meta-satire TV comedies like Curb Your Enthusiasm, The Larry Sanders Show, Entourage, Extras etc. 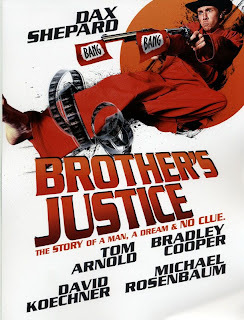 have done the idea to death, BROTHER'S JUSTICE is another one of those mockumentary-type deals in which real-life movie-industry folk portray themselves, generally as ego-swollen jerkwads. Just kidding, right. Uh, right? 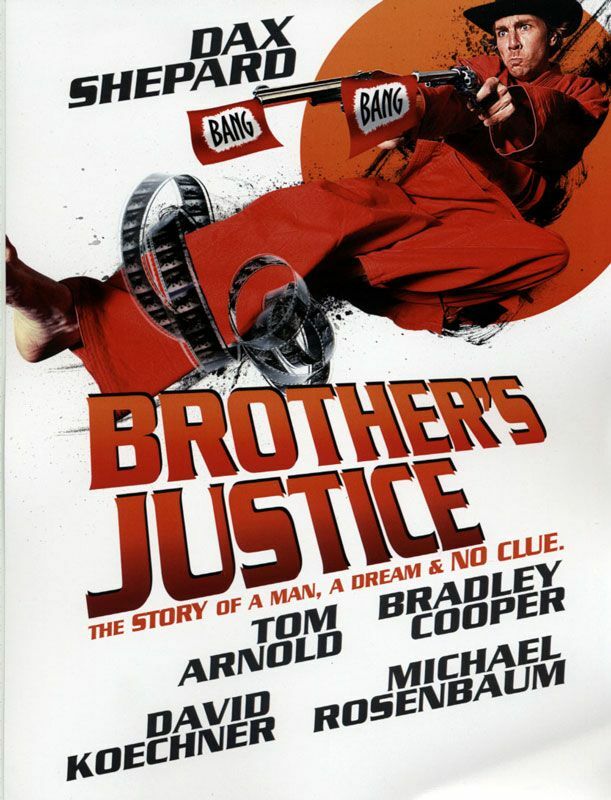 In a setup that seems to be a takeoff on Joaquin Phoenix's bizarre career turnabouts, comic actor Dax Shepard (Dax Shepard, portraying himself as a borderline racist/homophobe with a soupcon of substance-abuse issues) announces he's going to forsake funny business and become a dead-serious martial-arts action star, a la Chuck Norris, in something called "Brother's Justice." There isn't even a script, just a vague Dax-centric scenario pitch about drug-dealing biker gangs and a kidnapped brother. Shepard doesn't even know any martial-arts skills. But he bulldozes ahead with the thing and brings aboard his lifelong buddy Nate Tuck (Nate Tuck), normally a Kinko's manager, to produce. There's a funny between-the-lines subtext that Shepard's been mooching off Tuck in one form or another for ages, including pooling their finances to buy Shepard a cool car for a racetrack documentary that never got underway. his karate moves on national TV.